Oh no! 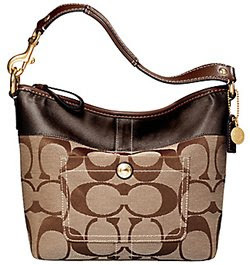 Another Coach bag! You might say. But let me tell you: this one is finally different. 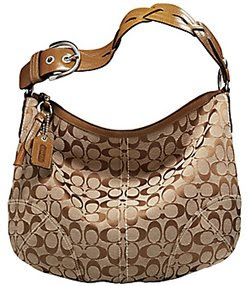 I like Coach, and as a matter of fact I own their stock, because I think their bags are well made and good looking, and still somewhat affordable. If you prefer Fendi or Gucci or Louis Vuitton, I understand. But if that's all you buy (good for you, since you can afford to spend $2,000 on those bags) maybe you won't need to finish reading this post. As I was saying, this bag is finally more of what I have been looking for: roomy and round. And now starts the countdown... let's see how many days I can resist before I walk back into the store and drop $300 on it! Feel free to place your bets! I'd say the Spender will exercise steely self restraint. The handbags will lead her not into temptation. Nah, I give it 5 days tops before NYS goes back, wallet in hand and cleans out the store. Let's pray that doesn't happen either. 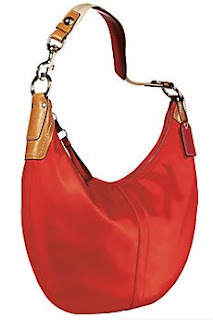 Instead she will provide a display of moderation and only buy the red weekend Hampton tote. It is very attractive in design and color. Ohhhh Coach love!! I'm a huge Coach fan so of course I say GO FOR IT! ;) Their leather is so nice and most of their styles are really timeless. 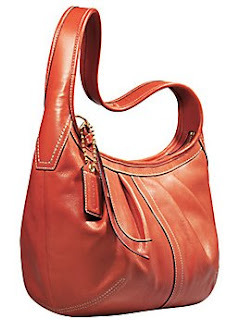 I usually like the more structured bags with lots of pockets/zippers inside to keep things organized. HOWEVER - Coach had a big launch campaign for the Ergo and for some strange reason, I keep going back to it. I really like it. Not in love with any of the colors, though. I have noticed & despaired of the upward trend on the Coach pricing myself (perhaps their bags are actually made of gasoline, milk, and bread, and that explains it??). Currently, if I had 800.00 in my pocket pointing my way to the Coach store, I would treat myself to the new Legacy bag, Francine. "Come on Francine" to the tune of Come on Eileen!